I made this (on a piece of leftover junk PCB) to remotely switch an external HDD connected to my home server on/off. I went with the "Safer New Design" from here, but then decided to opto-isolate it anyway. An LPT port data pin switches the led in a 4N25 opto-coupler, which then switches an external power brick's connection to the board. 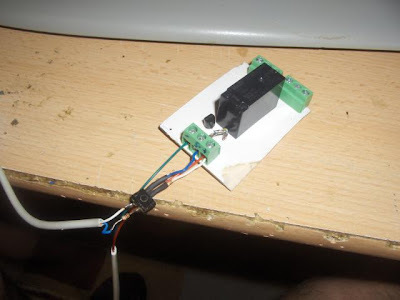 The relay then switches the mains on an extension cord. 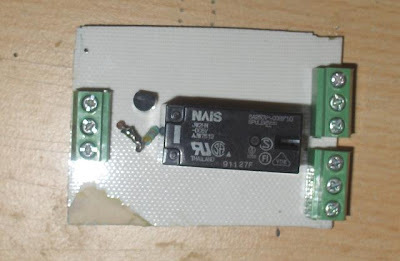 I pulled the NAIS 5v/220V relay from a broken monitor. Although with this design the switching voltage isn't really that important. As long as it's within the accepted ranges of the opto-coupler and transistor. 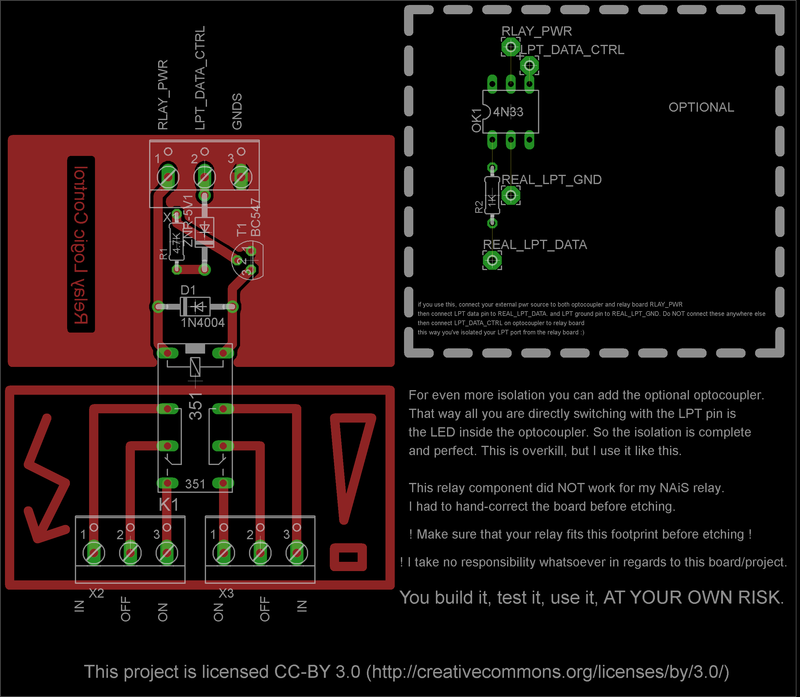 if myState = 0 then print "Relay is OFF" else print "Relay is ON"
I decided to release my board layout along with some notes on this project, in case anyone wants to build this. The notes say it all. I wish I had seen this when I needed a controlled relay for something I built the other day. I ended up tying the DTR and RTS pins of the serial port together to run a small reed relay- when you bring them both high it produces ~5V.